Stop and stand tall. Do NOT run. And do NOT approach the animal. Keep pets leashed or near your side. If the cougar displays aggressive behavior, shout, wave your arms and throw rocks. Try to convince the animal that you’re a potential danger. If the cougar attacks, fight back aggressively. Cougars hunt from dusk to dawn. So be cautious when using lands at these hours. The above safety tips primarily come from the Washington Department of Fish and Wildlife’s (WDFW) excellent Living With Wildlife portion of their website. 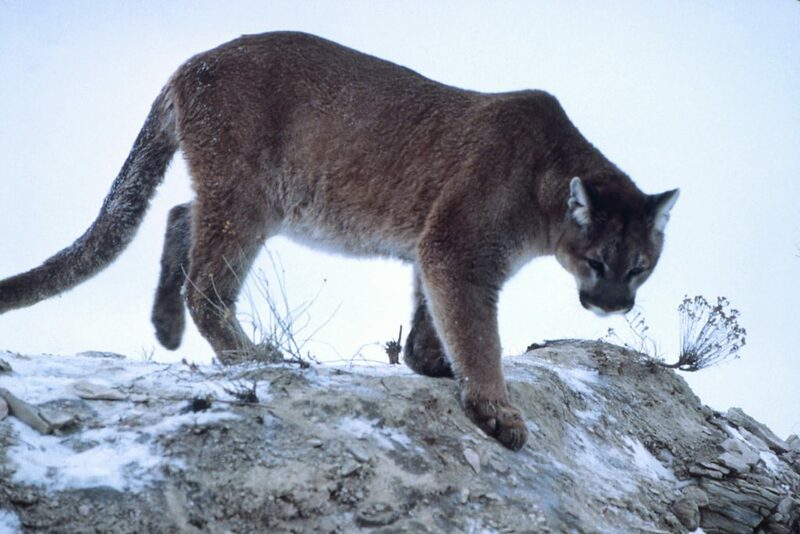 For more information about cougars, and what to do if you encounter one, visit WDFW’s web page on cougars. The Department of Fish and Wildlife responds to cougar and bear sightings when there is a threat to public safety or property. If it is an emergency, dial 911. If you experience a cougar or black bear problem, and it is not an emergency, contact the South Central region of WDFW (509 575-2740) between the hours of 8 a.m. and 5 p.m., Monday through Friday.